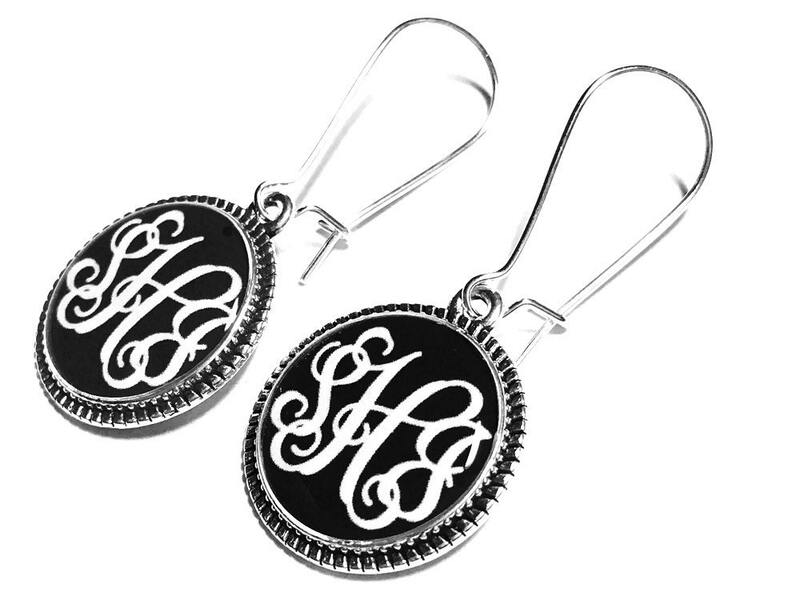 These lovely monogrammed earrings measure just 3/4" and about 1.5" total drop including the ear wires. 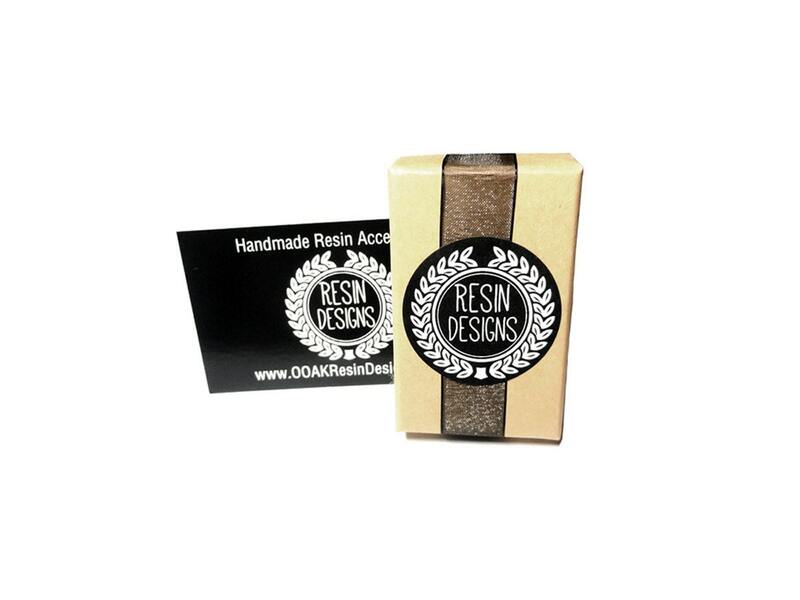 The earrings are made using only the finest jewelers grade resin in order to preserve and enhance the color. Please select from a silver finish as shown or antique bronze at check out. Please feel free to customize these how you like as far as a background color. Just make note at check out and I will work on proofs for you. 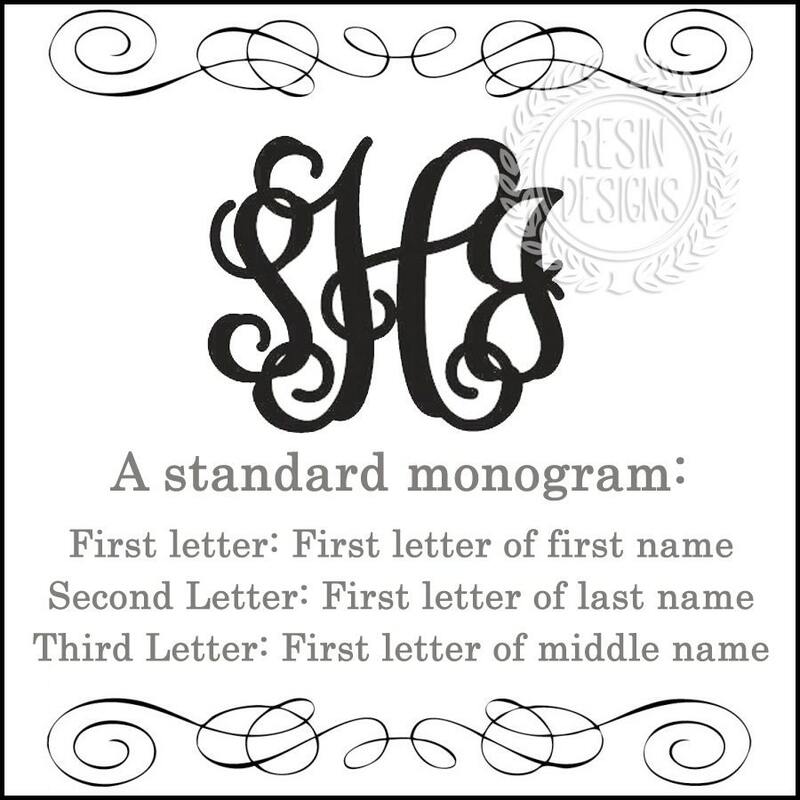 When selecting your monogram, it is recommended that the first name is the first letter, the last name is the larger middle letter and the middle name is the last letter. Please see the sample image above for reference. 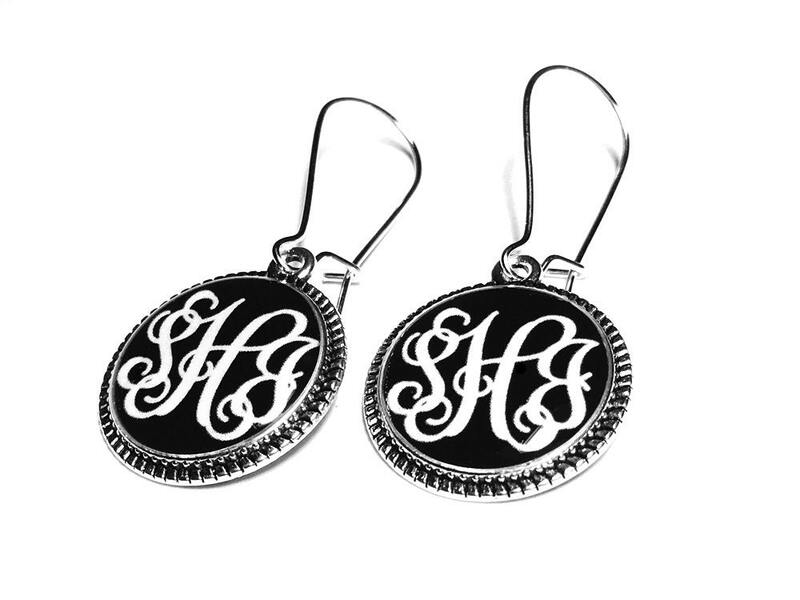 Simply leave a message at checkout with your monogram or I will contact you shortly for them as well. Your item will be packaged in a Kraft jewelry box as shown. 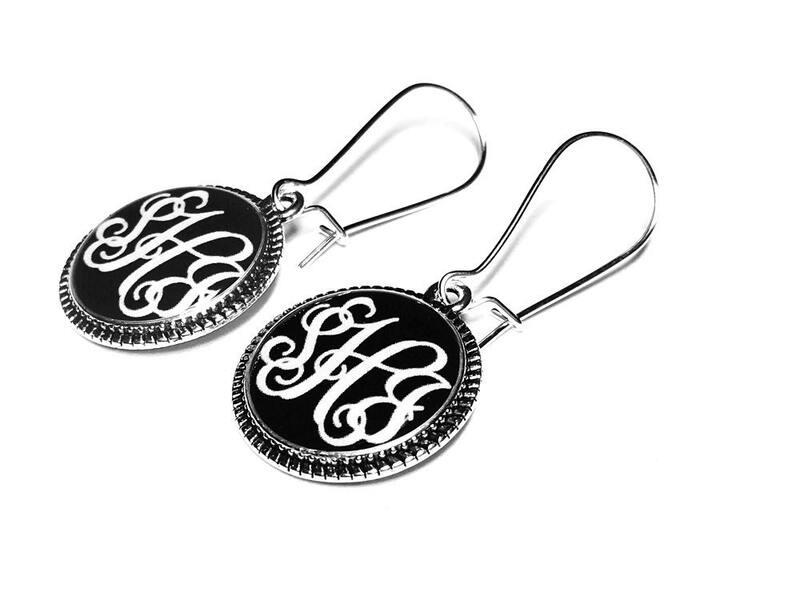 Love these earrings---thought they were cute---they are even cuter than I thought they would be---I will be ordering more!